QAI가 제공하는 서비스는 IAS(International Accreditation Services)과 SCC(Standards Council of Canada)로부터 인정받았습니다. 자세한 내용은 SCC 웹사이트에서 제공하는 캐나다 내 고객 제품 안전에 관한 SCC 가이드라인을 참고하시기 바랍니다. 해당 파일은 다음의 링크를 통해 다운로드할 수 있습니다. #### Add table of link of “Recognition Agency” ##### never include this text on the Korean homepage. QAI는 또한 고객에게 개선된 프로그램을 제공하기 위해 다른 인증기관들과 제휴를 맺고 있습니다. 아래의 표를 통해 제휴를 맺고 있는 인증 규격, 제휴기관, 표준 기술 단체에 대한 심도있는 정보를 확인할 수 있습니다. 고객의 비즈니스가 속한 국가나 지역, 분야가 무엇이든 QAI ASIA 한국 대표번호 031-687-8788로 문의주시기 바랍니다. QAI는 제3자 시험 및 인증기관으로서 친절히 대응해 드릴 것입니다. 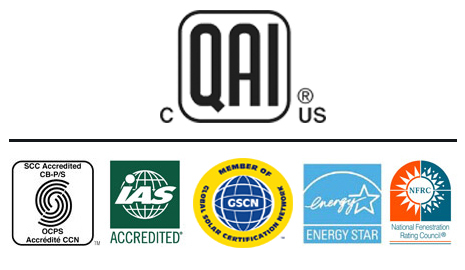 Founded in 1994 by a group of experienced certification and testing experts, QAI is an independent third-party testing, inspection and certification organization which serves the building industry, government and individuals with cost effective solutions through our in-house capabilities/services, and an established worldwide network of qualified affiliates. To speed your certification process up and get your product to market, trust the provider that many leading global manufacturers do: QAI.